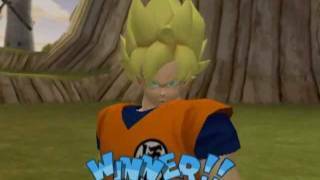 The game follows the Dragon Ball Z timeline starting with Goku and Piccolo’s fight with Raditz up to Gohan’s final battle with Cell with a total of 23 playable characters. Features included in the game were a story mode, a versus mode, a tournament stage, a practice mode, and an items shop which allowed the player to purchase various customization abilities using money that was gained through the various challenges in the story mode and tournament victories to customize and make the most powerful warriors. The story mode also included a few “what if” episodes to play, retelling iconic events in the Dragon Ball history with a few twists.